The Motorola Atrix HD is in our hands (unboxing is on the way) and ready for us to take it for a spin. 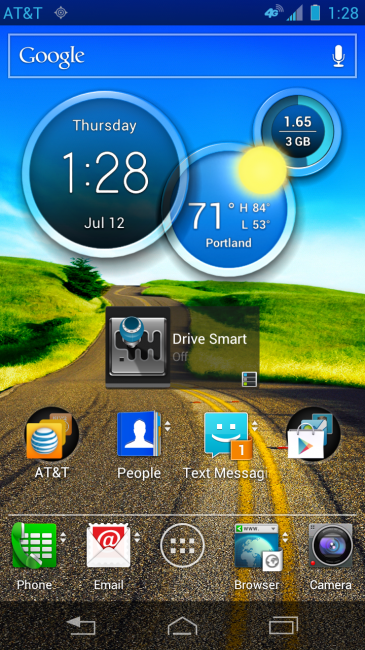 The device itself is running Android 4.0.4, but of course, has Moto’s custom Blur skin on top of it. While many of you have expressed your colorful opinions over Blur, we noticed immediately with this version on the Atrix HD, that there are some new goodies that were worth sharing. First up is the new clock widget that is fully interactive. We have seen other widgets copy this skin to mimic the look, but if you have yet to play with the real thing on a Motorola device, then you probably didn’t know that it’s live at all times. You can actually flip each circle to see a different clock, weather from additional cities, your data plan, and even battery life. Second, can you see the little arrows next to some of the icons in the screenshot on the left? Those are live icons (at least that’s what I’m calling them) that allow you interact with them. With a simple swipe up or down, they display a preview from the app. 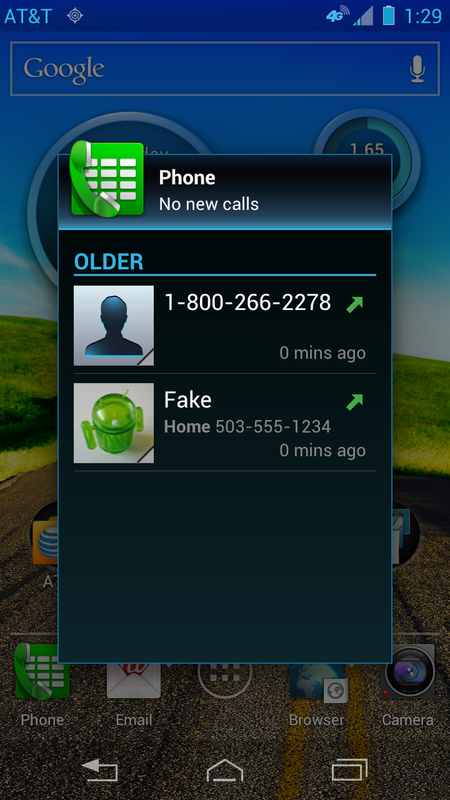 For example, with the phone icon, a swipe gets you a preview of your most recently missed or placed calls. If you swipe the email icon, you get a preview of your inbox. Swipe the text message or browser icon and you also get live previews. We are still diving into this new Blur and the Atrix HD, so stay tuned as we will undoubtedly have more.